Our focus is on personal cooking instruction from an experienced chef and pasta maker, and experiential, authentic tours that go behind the scenes at responsible small-scale food and drink producers. You will be accommodated in beautiful poolside (pool open June to September) apartments, high above the southern Tuscan Maremma plain, in the medieval village of Roccatederighi. Once your CED adventure starts, all your transport, activities, tours, classes, food and drink (apart from one free evening on the 7 day trip) are taken care of. You’ll be taken on a memorable foodie journey through vineyards, cheesemakers, honey and rice producers and much more. Learn to cook wonderful Italian fresh pasta and risotto, float on a fishing boat on the mediterranean and dine al fresco on 4 course feasts in medieval Tuscan village squares. 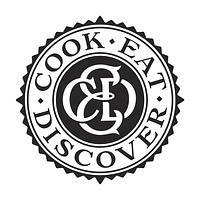 See the itinerary section HERE for more what to expect on a CED foodie adventure. We specialise in intimate fresh artisan pasta masterclasses, with small groups and personal instruction. We have no interest in simply going through the motions, instead we ensure that our guests really learn, understand and enjoy cooking and pasta making. Our pasta workshops take you through making pasta dough, and on to cut pasta (like tagliatelle), short pasta shapes (like farfalle), and filled pasta (like ravioli). There is always a glass of good Italian wine supplied to enhance the experience, and our guests take their own handmade pasta home with them at the end if the night!